Some people call them Dunking Booths and some call them Dunk Tanks, but here in Jumping Hearts... we call them fun! 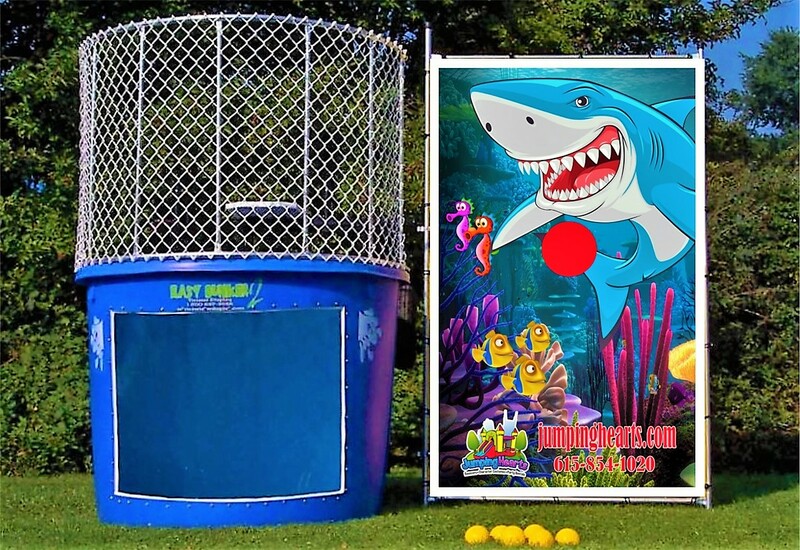 A Dunk Tank is a classic carnival game that guarantees lots of fun and laughs in your event. 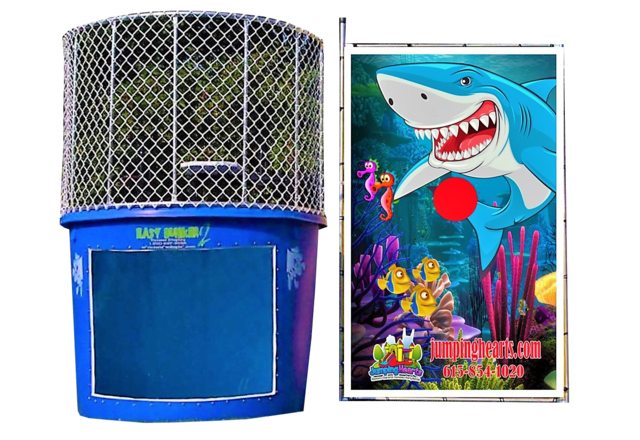 If you've been dreaming about the perfect opportunity to get revenge on that co-worker that pranked you, or maybe you want to dunk your principal at a school fundraiser, our Dunk Tank rental is the way to go. You must have a water sourse to fill the dunk tank and a hose long enough to reach were the dunk tank is going to be setup.